Does anyone know whether it is possible to travel from Dubrovnik to Sarajevo by bus/how long it takes and is it safe? Currently the bus from Dubrovnik to Sarajevo departs at 13,40 and 15,00 from the main bus terminal. Trip duration is ca. 6-7 hours, depending on traffic conditions. It is safe to visit Sarajevo and Bosnia and Hercegovina in general. 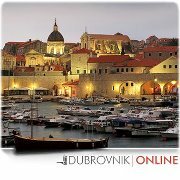 We have the current 2012 timetable for all busses departing from Dubrovnik.